Ever since Mortal Kombat X hit shelves back in 2015, fans have been expectant for the next Mortal Kombat game, which we now know will arrive next month. Developer NetherRealm Studios has been hard at work on this upcoming Mortal Kombat game, and has also been releasing trailers and gameplay videos giving us an idea of what to expect from Mortal Kombat 11. Regarding the character roster, we already know that old stalwarts like Sonya Blade (who will be voiced by WWE star Ronda Rousey in this iteration of the franchise) and Johnny Cage will be in it. 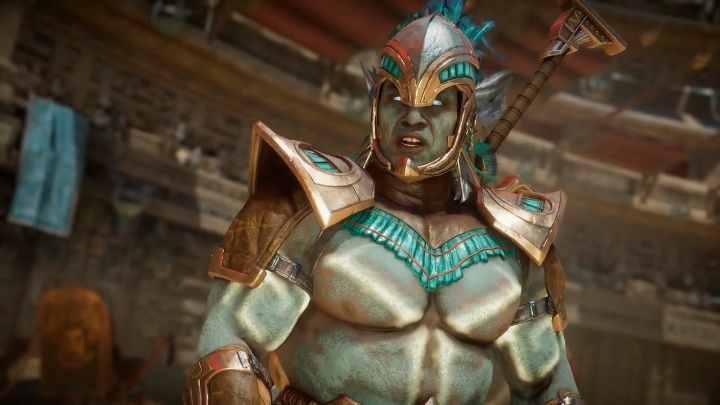 And the game’s latest trailer shows Kotal Kahn in action, a character you might be familiar with if you played the previous Mortal Kombat game, which was the first to introduce the blue-skinned fighter from the Outworld realm. Kotal became the ruler of Outworld in Shao Kahn’s absence in the previous game, but with the infamous villain returning in Mortal Kombat 11 as a DLC character, will the two come to blows in Warner Bros. latest game? Suffice to say that Jacqui’s fatality is bloody and violent – this definitely doesn’t look like a game suitable for the squeamish or the very young, as NetherRealms appears to have ratcheted the violence to the max for this Mortal Kombat entry. Also, it’s hard not to notice the extra background detail and quality here, as Mortal Kombat 11 looks quite a bit better than its predecessor, so here’s hoping Warner Bros.’ latest fighting game lives up to the hype and ends up being as good as 2011’s Mortal Kombat, arguably the best entry in the series to date.